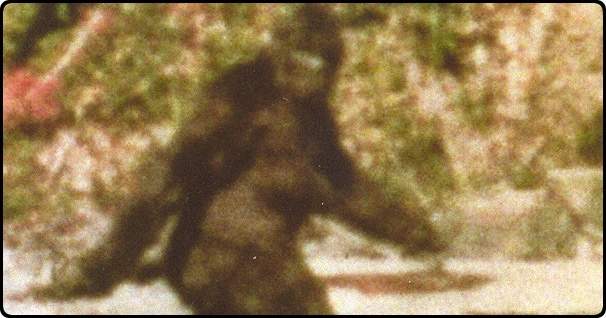 As early as the 1830s European settlers reported seeing a large, hairy biped roaming the Pacific northwest. 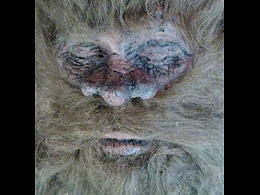 Even before that Native-American legends told of a "Sasquatch" (meaning a "hairy giant") that lived in the region. However, no concrete evidence exists to suggest such an animal exists -- "concrete" here meaning tangible physical proof such as a body, or body part. If a Bigfoot species did exist, it would seem likely that at some point one of them would die and leave a skeleton, or get run over by a car. But that apparently has never happened. 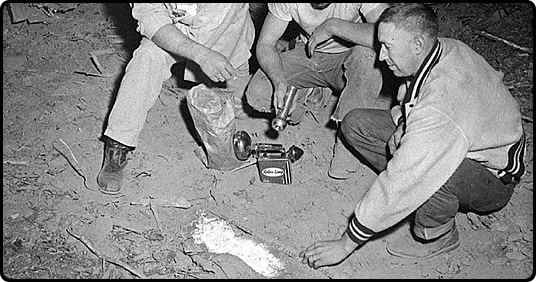 What we have instead is a mountain of anecdotal evidence: eyewitness accounts, blurry photos, recordings of strange noises, and footprints. The problem with this anecdotal evidence is that much of it could have been faked. 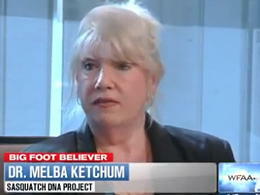 Even the most ardent Bigfoot believers admit that some of it was. Whatever wasn't deliberately faked might be chalked up to wishful thinking. In 1957, with interest in Sasquatches growing on account of the Yeti crazi, a former logger, Albert Ostman, came forward with a strange story about how he had been abducted by a Sasquatch back in 1924. Ostman claimed that he had been on a prospecting holiday in Toba Inlet (British Columbia) when a Sasquatch carried him off and forced him to live with its family. Apparently the Sasquatch wanted to use Ostman for breeding purposes. 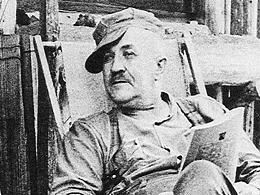 After six days Ostman escaped. Ostman's story stretches credibility, and the fact that he supposedly waited 33 years before telling it makes it even harder to believe. 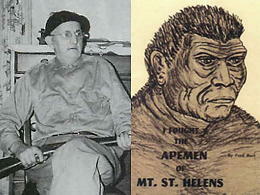 Even some prominent Bigfoot adherents dismiss his story as a tall tale. Showman Frank Hansen claimed to have a bigfoot-like creature frozen in a block of ice and was exhibiting it at carnivals throughout the Midwest. In 1968 the creature came to the attention of the cryptozoologists Ivan Sanderson and Bernard Heuvelmans, who became convinced the creature was real. 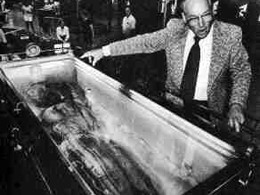 Sanderson tried to get scientists interested in the "iceman," and for a brief time the Smithsonian Institution expressed interest in acquiring it. But as pressure mounted on Hansen to let scientists examine the creature, he claimed that the original creature was gone and what was now in the ice was just a replica. It has since become clear the creature was a fake all along. 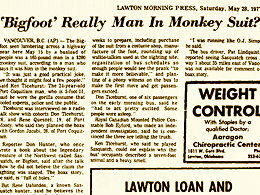 On the morning of May 15, 1977, a busload of people watched a Bigfoot cross Highway 7 east of Vancouver. But a few days later a trio of young men confessed that the Bigfoot was their work. It had taken them weeks to prepare, since they had fashioned resin-cast Sasquatch feet to make convincing footprints. They also planted a phony witness on the bus to see the Bigfoot first and get the other passengers excited. Strangely, the people on the bus described seeing a 7-foot Bigfoot with a strong smell. 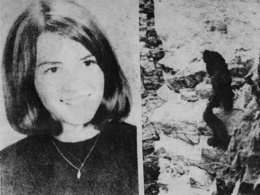 But 24-year-old Ken Ticehurst, who wore the gorilla suit, was only 5-foot-11 and weighed 165 pounds. 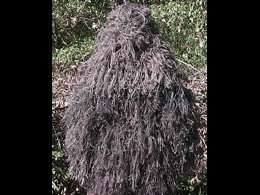 Residents of Enola, Pa. reported seeing a "hairy creature" in the woods of nearby East Pennsboro Township. 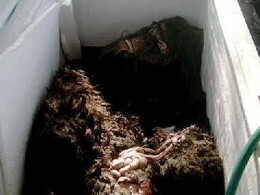 One man described the creature as being hairy, 6 ½-feet tall and with arms that extended below the knees. The report created an air of panic in the town. Residents locked their windows and many took up weapons. 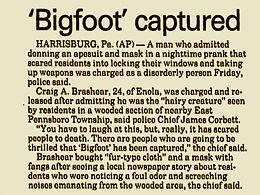 But the panic settled after police identified 24-year-old Craig A. Brashear as the creature. He had bought an ape-suit and mask with fangs then stood in an area where his furry body would be illuminated by headlights. He did so, the police chief said, in order to "stir up more activity, to make it seem like there was a creature out there." Rick Dyer (the same Rick Dyer responsible for the 2008 Bigfoot in a Freezer Hoax) announced he had killed an 8-foot Bigfoot in Texas. He called it Hank. After declaring that a university had DNA-tested the creature and found it to be an unknown species, Dyer took the body of the creature on tour in early 2014, charging people to see it. But after a few months his tour encountered problems, and he posted a rambling confession on Facebook, revealing that Hank's body was a prop made of latex, foam, and camel hair.